Mitchellville Residence: Famous African American figures were combined with quotes to create an inspirational wall in private residence. 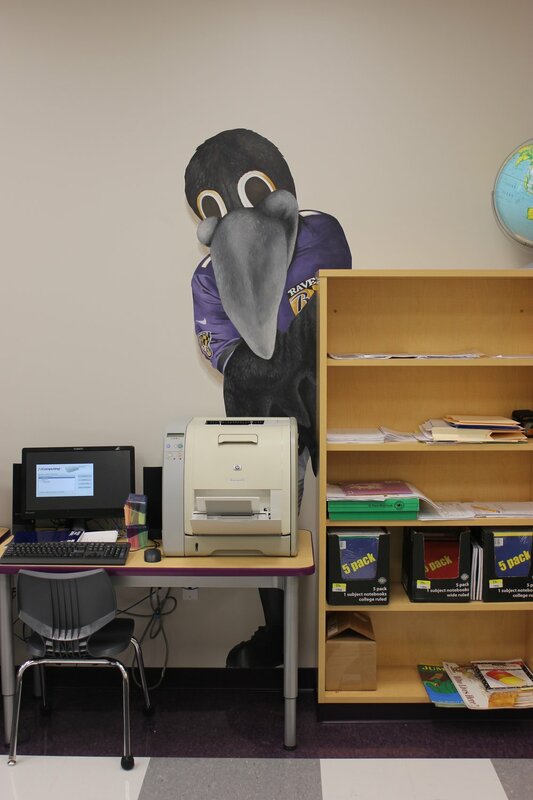 Mount Airy Middle School: Interactive mural in front office with metal discs incorporated into mural. Staff can rotate out student artwork. 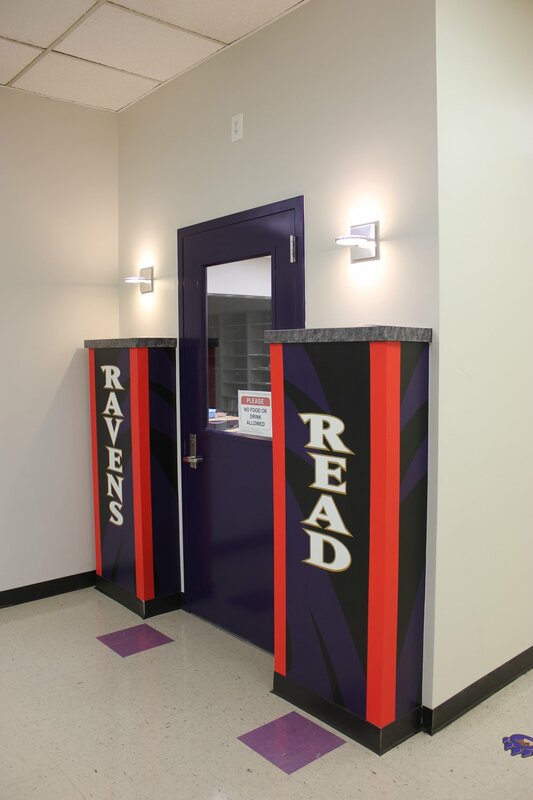 Logos in gym and entry provide school identity and pride. All projects executed on canvas and installed on site. 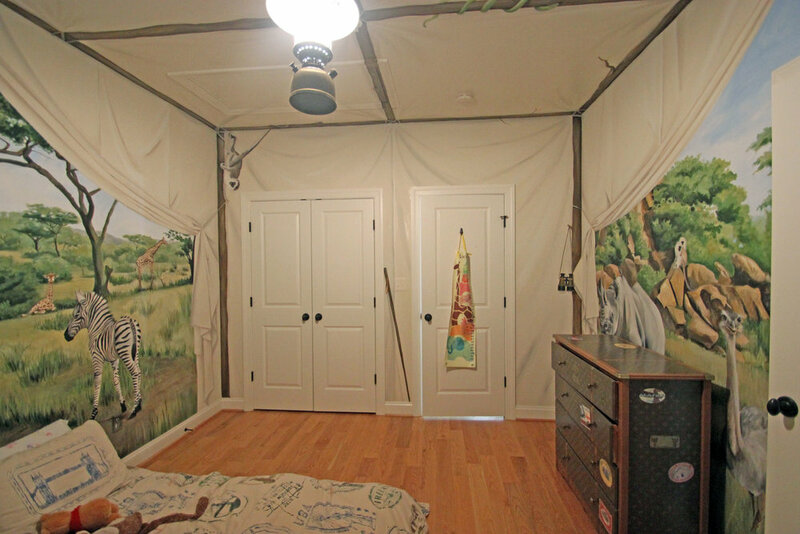 Safari Themed Bedroom: Two main walls were painted on canvas and installed, ceiling and remaining walls painted on site. All draped canvas is actually painted. Heirloom family furniture painted to match theme. Underwater Themed Nursery: Main wall, ceiling, and swimming wildlife were painted on canvas and installed. Remaining walls painted on site. 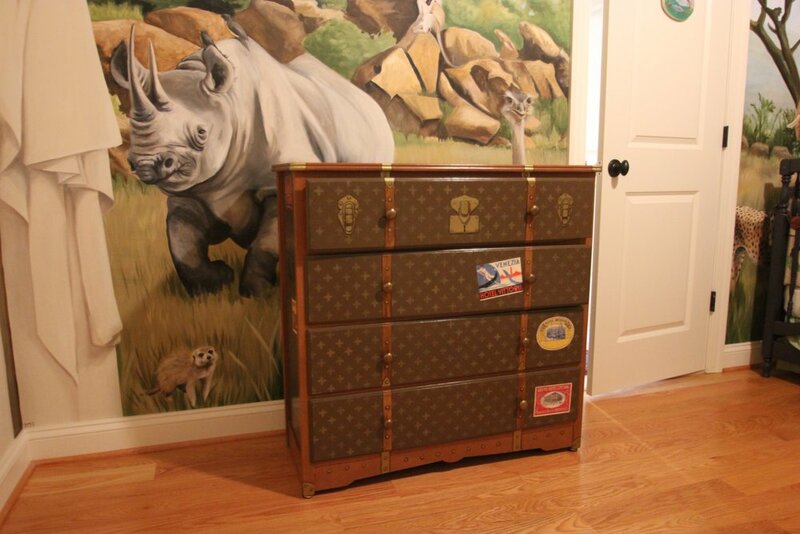 Dresser refinished to look like a treasure chest.